Award-winning poet Danez Smith is a groundbreaking force, celebrated for deft lyrics, urgent subjects, and performative power. Don’t Call Us Dead opens with a heartrending sequence that imagines an afterlife for black men shot by police, a place where suspicion, violence, and grief are forgotten and replaced with the safety, love, and longevity they deserved here on earth. Smith turns then to desire, mortality—the dangers experienced in skin and body and blood—and a diagnosis of HIV positive. 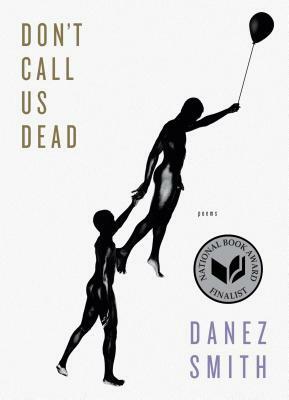 “Some of us are killed / in pieces,” Smith writes, “some of us all at once.” Don’t Call Us Dead is an astonishing and ambitious collection, one that confronts, praises, and rebukes America—“Dear White America”—where every day is too often a funeral and not often enough a miracle. Danez Smith is the author of [insert] boy, winner of the Lambda Literary Award for Gay Poetry and the Kate Tufts Discovery Award. Smith has received fellowships from the McKnight Foundation and the Poetry Foundation, and lives in Minneapolis.